Recently, RFcnn.com, an astounding online store of balun products, has announced its new designs: E1 mini baluns. Recently, RFcnn.com, an astounding online store of balun products, has announced its new designs: E1 mini baluns. These items are made for the international market and offered in various specifications to meet the different needs of clients. What’s more, the company has launched a promotion of its fresh products. "We are excited to release our new products." The CEO of the company states, "We all know that a balun is an electric device that can be used in converting between balanced and unbalanced signals. Our E1 mini baluns are convenient to carry; they can be widely used in many industries. Now, they are offered at greatly discounted prices, up to 34% off. Customers who are interested in such products should visit our website now." To make sure that every item is of high quality, the company has deployed quality regulations. It is known as one of the world’s leading companies. 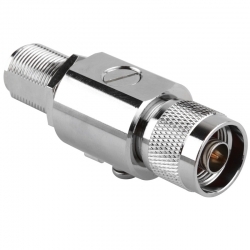 As an innovation-based company, it provides a huge selection of baluns, connectors and many other related items. Along with its high end products, the company usually launches promotional offers to customers throughout the world. That is why most of the company’s products are popular in the global market. RFcnn.com is an online shop of Zhenjiang Fourstar Electronics Co. LTD, which is a China based company that aims to provide customers with high quality products at the lowest possible prices. Customers can try the company’s products through sample orders with a long-term contract. Most customers come back soon after receiving their first deals. 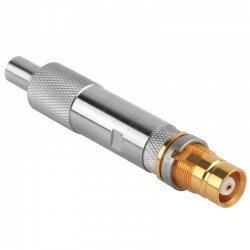 More details about the company’s high quality connectors can be found at http://www.rfcnn.com/Mini-Balun-1-6-5-6-L9-female-right-angle-to-IDC-AWG24-26-RF-Connector-89.html.